if there is any shred of sunshine in the dark depressing state of my infertility journey, it’s that we are finally “getting back out there.” i’m not talking about the dating world, but the REAL world. the one that has all these fun things available to you that you could never commit to because you were doing fertility crap. too often my life was centered around the doctors’ schedule. appointments. treatments. ultrasounds. there was no real room for much else. a stress-free weekend getaway? that’s hilarious. dinner and movie night? only if i can bring my injection kit. that has to be on ice. you heard me. bringing a cooler everywhere with you is not at all cumbersome, or an eyesore. excuse me waiter, can you put these in your fridge? and then there’s the money aspect. when all your extra savings (what is that?) is going to medical bills, no way are we booking trips or buying tickets to a show. that money is spoken for. or was, rather. and now it’s gone. with nothing to show for it. no fun memories to look back on. no chintzy vacation memento. pretty sure no one is selling the “i spent 2 years and $30,000 trying to have a child and all i got was this t-shirt” t-shirt. but you know what? enough. it’s time to enjoy again, guilt-free. i read an article the other day that basically said people who spend their money on experiences are happier than those that spend it on things. i am jumping on that train. i started looking for fun things to do. tickets to The Lion King musical? sure. an outdoor art show? why not. group baseball game next month? let’s do it. in August we will celebrate our 5 year anniversary and we had been talking for a while about having a weekend to ourselves. i said to amazing husband “hey guess what we’re going to Cabo.” and luckily he didn’t argue. because f*ck it. i’m not waiting anymore. and plus also it’s summer and even though it’s africa hot right now i want to be outside DOING things. breathing the salty beach air. swimming. picnicking in the park. 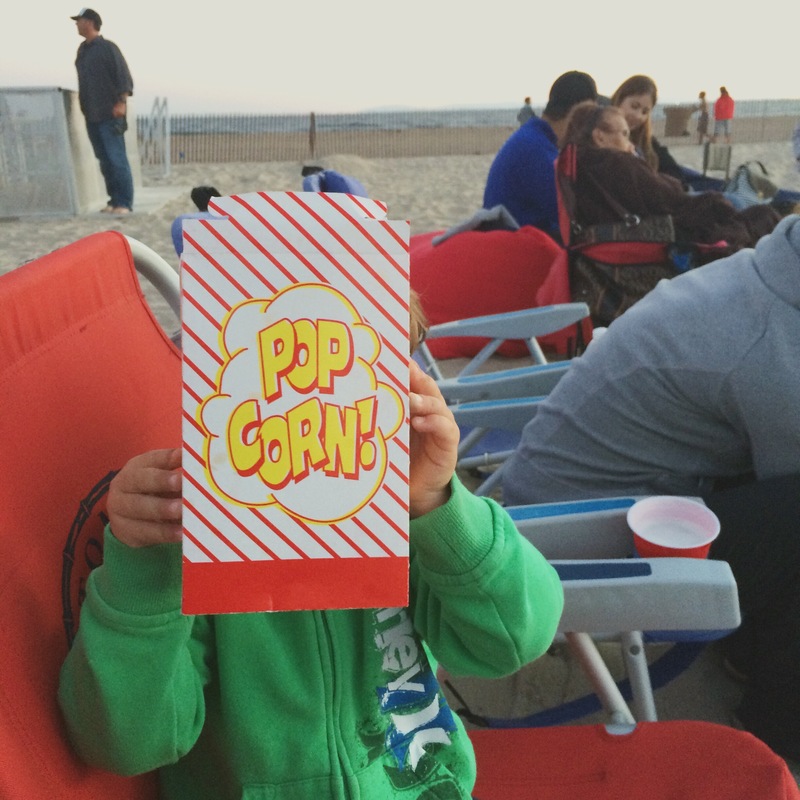 or grinding my teeth on sand-laced popcorn while watching the Lego Movie on the beach next to amazing son. which reminds me i can probably forgo the polishing at my next dental appointment. and if the feds can get their asses in gear with processing my passport i can be on white sandy mexican beaches in no time, sipping cerveza fresca y fría. make it happen sweet baby jesus. because f*ck it, i’m not waiting anymore. well, what do i do now. i’ve been doing a lot of thinking and feel i should ask you: do i keep up this blog? it was meant to be an outlet for me to work through all the sh*t that comes with being an infertile old bag. i started it to get the weight off my shoulders, which i have, to some degree. and it has opened up people’s eyes to a taboo subject: pregnancy loss. many have reached out to me and thanked me for “educating” them on this hush-hush dont-talk-about-it subject. and most importantly, i have been so incredibly grateful for this blog and it’s followers… it has kept me afloat when the water has threatened to swallow me up. but now what. i’m not in any position to be able to continue with infertility treatments. over a year has passed and we are back at square one. ouch, that hurts to type that out. except now we know that my one remaining tube is pretty much shot. and my eggs are now a year older and that much more jacked up. if i keep up this blog, i’m afraid month after month it will read like this: “well, no news to report.” or worse yet “well, we got pregnant but look i lost this baby too”. who wants to see that. am i insane? repeating the same behavior over and over and over again but expecting different results… that’s the definition of insanity, right? or am i simply holding out hope for a miracle? which some might argue is just as insane. i don’t know. i don’t know a lot of things. what i am doing. what should i be doing. should i be calling it quits? should i just accept that i will never have another child? that there is no light at the end of this darkness? and don’t think for a second that i don’t say to myself every damn day that i was blessed with a miracle. i KNOW how lucky i am to have amazing son, i do NOT take him for granted. but as long as this heart in my chest beats, it will long to fill the void left by 5 angels. and no amount of time shrinks that void, it never goes away. what have i been doing these last few weeks? i’ve been questioning. everything. what i did. what i didn’t do. what i’m doing now. what i’m NOT doing now. and i have no answers. i have no plan. i am spinning like a top. dizzy and confused. with no clear direction. a girlfriend asked me the other day: “if you had all the money in the world, would you do IVF again?” of course i would, that’s not even a question. i would do it until my uterus fell out. 1000x’s yes. but that is not the reality is it. well now what. mostly i just sit here. and seethe with envy. and then get angry at the injustice of it all. and then guilty that i feel these things. there is a lot of self-loathing here. i freely admit i’m not in a good place. you’d be hard-pressed to find a silver lining in this depressing cloud. will time fix that? i doubt it, though it might lessen the blow. so now what. i will keep working on staying distracted i guess? projects. school. laundry. a few people sent me fancy coloring books to help keep my mind off things (don’t laugh)… and it actually works. 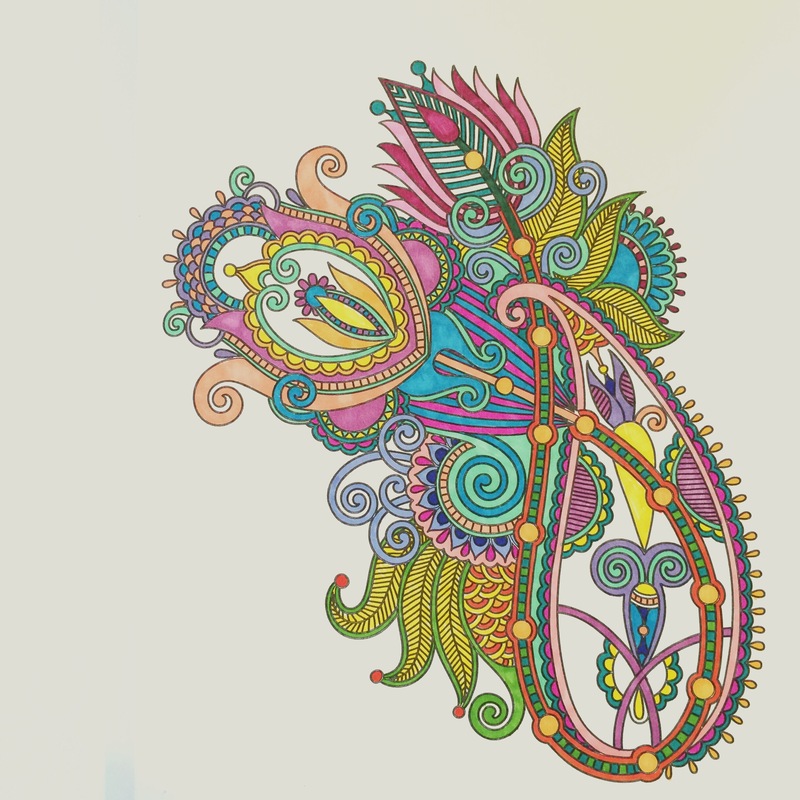 filling in those intricate spaces with bright colors somehow calms the soul. for that moment in time. i started running again. that has helped a bit. when it’s just me and the pavement, i feel free of the weight. but then the run is over. the brightly-colored marker is put down. and undoubtedly the feelings creep back in. the damn-i-opened-facebook-and-there’s-another-pregnancy-announcement slaps me in the face. and it’s nothing against that person, they deserve to be happy. but i just can’t even. i just can’t accept that this is it. not yet.